Social media is an incredible marketing tool. It allows you to engage your audience and promote your business. But you must know how to use it. Get social media copywriting best practices for each of the four major platforms to ensure that your strategy isn’t going to waste. Regardless of which platform you use or want to use, you should always follow the below steps. Keep reading for our recommended best practices. 1) Avoid common formatting errors. We don’t recommend you post the same copy to every single one of your social media platforms. 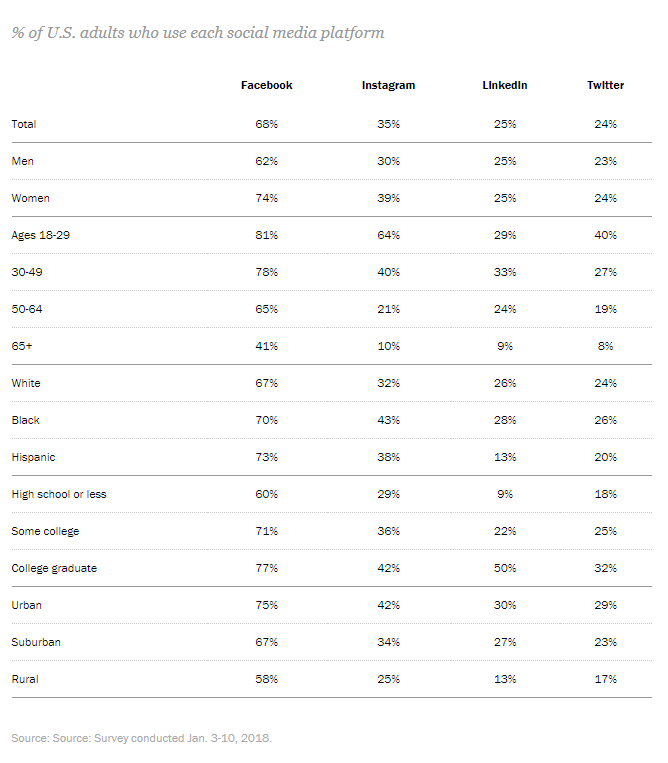 This is because what works on Instagram – doesn’t work on Facebook. 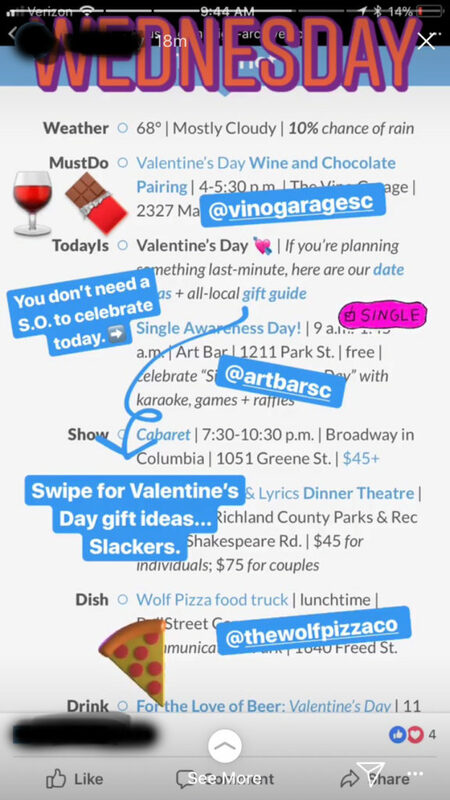 If you mention a user in an Instagram post with the @ symbol, that symbol won’t make sense on the Facebook post. Also, if you’re posting a link, you can delete the actual url in the initial post copy. The viewer can simply click on the post rather than a long url in the description. 2) Pay attention to the optimum copy length. Even though post descriptions can be more than 60,000 characters long – we don’t recommend exceeding 80 characters. Your description is meant to put the corresponding content in context. You should be drawing in people to click a link or watch a video. Buzzfeed’s Facebook page shows the greatest engagement on posts with less than 50 characters in the description box. Other important limits include the meta title and meta description found when you link an article. HubSpot recommends the title be less than 60 characters, and the meta description be less than 155 characters. Post with images get 2.3 times more engagement than a post without an image, according to BuzzSumo. When in doubt, always add images to your copy to draw more users into interacting with your content. 4) Create attention-grabbing copy and headlines. You only have a few seconds for someone scrolling through their Facebook feed to decide whether your content is worth the click. You need to capture their attention and peak their curiosity. There’s a fine line between click-bait and attention-grabbing, so you’ll need to find a balance that works. Read our article below for some great tips that are applicable to Facebook posts as well as blog titles. 1) Keep your copy short. 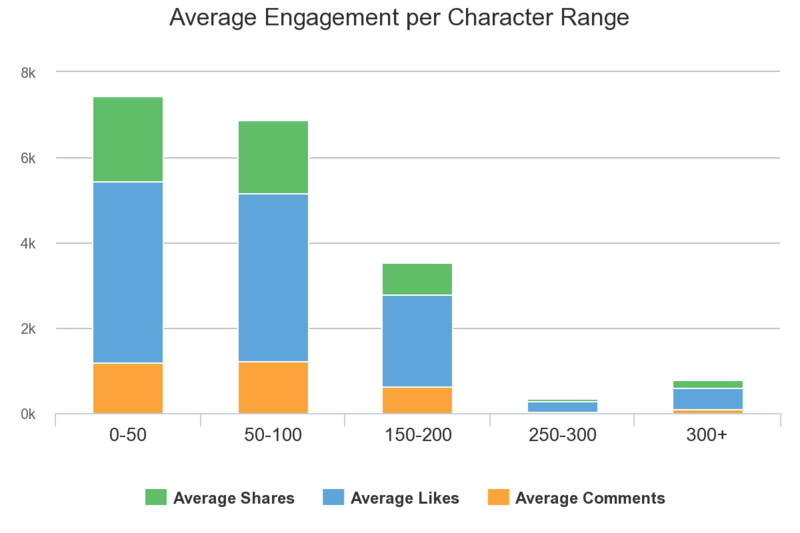 Buffer found that tweets with less than 70 characters received 17% more engagement. This should be relatively easy to do, considering images, videos, polls, and quoted tweets no longer count towards the overall 140-character limit. If you need to include a URL, shorten it with a tool like Bitly. 2) Use hashtags – but not too many. Tap into trending topics and popular searches by using hashtags within your tweet copy. Take these pointers from Buffer about how many to include in a post. 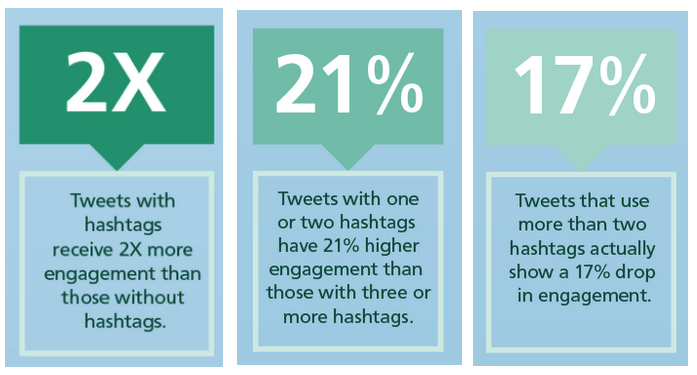 Tweets with one or two hashtags get 21% more engagement than tweets with more than three hashtags. 3) Utilize visuals to grab attention. In fact, the best way to increase engagement on Twitter is with large image summary cards, according to BuzzSumo. These visual tweets get 78% more engagement! It’s definitely not all about the copy you use, but also the visuals you use with it. 1) Understand that the text isn’t the primary focus. Instagram is a visual platform. Your copy is there to provide context to the image and grow your following. The caption will be cut off after three lines, so we recommend staying under 125 characters. You can have more than 125 characters total, it will just be hidden until a user chooses to view the remainder of the text. Make sure you front-load the caption with the calls-to-action and save the hashtags and mentions in the hidden text. 2) Limit your hashtag usage. You can add up to 30 hashtags in your Instagram copy, but that doesn’t mean you should. Too many hashtags can give the impression that you’re a spam page. We recommend using less than 7 relevant hashtags within your copy. 3) Don’t obstruct your stories with too much copy. 1) Use the ideal character length. Status updates can be as long as 600 characters, but we recommend keeping it below 250 characters. If you include a link, make the title of that link less than 70 characters. As with the other platforms, these captions are meant to encourage clicks. If you want to go beyond 600 characters, LinkedIn has a unique publishing platform. You can post original content up to 40,000 characters directly on the website. If your website’s blog doesn’t have as many eyes on it as LinkedIn – this could be a useful tool to reach more people. What’s been your most successful social media post to date? Different strategies and content work for different businesses. While the above best practices are great starting points – make sure you conduct your own analysis to find what works best for your business. We’re curious! If a specific type of content has worked well for you, let us know in the comments! It’s worth the effort to reach and engage your audience on social media. But what happens when you successfully drive them to your website? Do you have pathways in place to get them to the decision stage of the buying process? Find out how to turn your website into a lead generation machine with this FREE eBook. Read The 30 Greatest Lead Generation Tips, Tricks, & Ideas here.